You deserve a delicious lunch break outdoors to end your long work week! 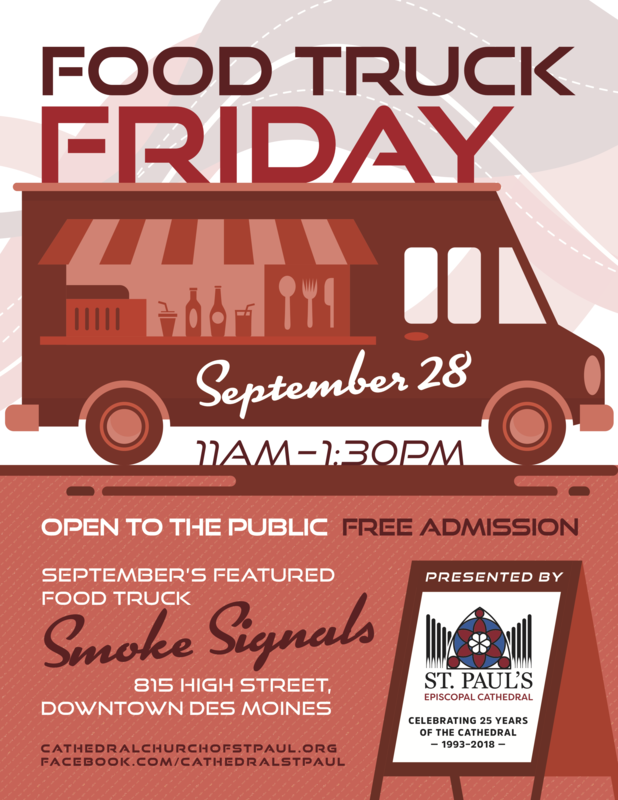 Grab some friends and enjoy smoked meat sandwiches, nachos, homemade slaw, herb roasted potatoes and more from Smoke Signals Food Truck! Free admission, open to the public and located in the heart of Downtown Des Moines. Smoke Signals will have their entire menu available from 11am- 1:30pm in the parking lot located on the corner of 9th and Pleasant Street. We will see you then!